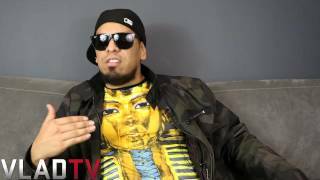 http://www.vladtv.com - Rapper Immortal Technique stopped by the VladTV offices and shared his thoughts on the current state of racial affairs in the US and reacts to the news of 12-year-old African-American Tamir Rice being killed by police just seconds after they arrived on the scene. VladTv speaks with Immortal Technique on 12-Year-Old Tamir Rice Killing. Dec 01, 2014 · 0 comments for "Immortal Technique on the k!lling of 12-Year-Old Tamir Rice"
Immortal Technique on the Killing of 12-Year-Old Tamir Rice was added to our system 4 hours ago. This viral videos does not rank in our top 100 submissions.